If you are a roofing contractor in the Cleveland Ohio or the surrounding areas we offer the most competitive rates on liability insurance for roofers in Cleveland Ohio. Please call 800-998-0662 or 513-662-7000 and speak with one of our licensed insurance professionals. 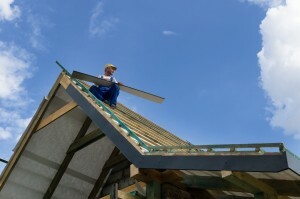 We provide liability insurance for roofing contractors all across the state of Ohio. Roofing Liability Insurance in Cleveland Is Expensive. Many insurance companies do not wish to insure roofing contractors due to previous claims and loss history and other companies providing liability insurance will charge an arm and a leg for roofing liability insurance in Cleveland. Our agency specializes in providing insurance for roofing contractors in Cleveland Ohio. We can find the appropriate coverage for your business needs but there are several areas that you need to pay careful attention to when choosing an insurance company to care for your liability insurance needs. To avoid the high cost of Worker’s Compensation premiums plus other payroll taxes some roofing contractors will subcontract their work out to other roofing contractors, or treat all workers as 1099 contractors. Insurance companies offering the best rates for roofing contractors in Cleveland will not take insure your business when you take this approach to avoid workers compensation. Other roofing contractors will not disclose the fact that they are using subcontractors in their business, not realizing that they are making material misrepresentations on their insurance applications which could cause the insurance company to void the policy if a claim is submitted. Another mistake on general liability insurance for roofers in Cleveland is when the appropriate insurance coverage is not purchased by the roofing contractor. For instance if you do not purchased commercial automobile insurance and you are using your vehicle to transport employees, material, or tools to your worksite and an accident ensues, your personal automobile insurance policy in Cleveland may not protect you. For the best Insurance for Roofing Contractors in Cleveland Call 513-662-7000 or 1-800-998-0662.